Today´s wireless market, more specifically the outdoor wireless market, continues to demand higher transmit power, greater dependability and advanced feature sets, all while keeping the client-side cost down. 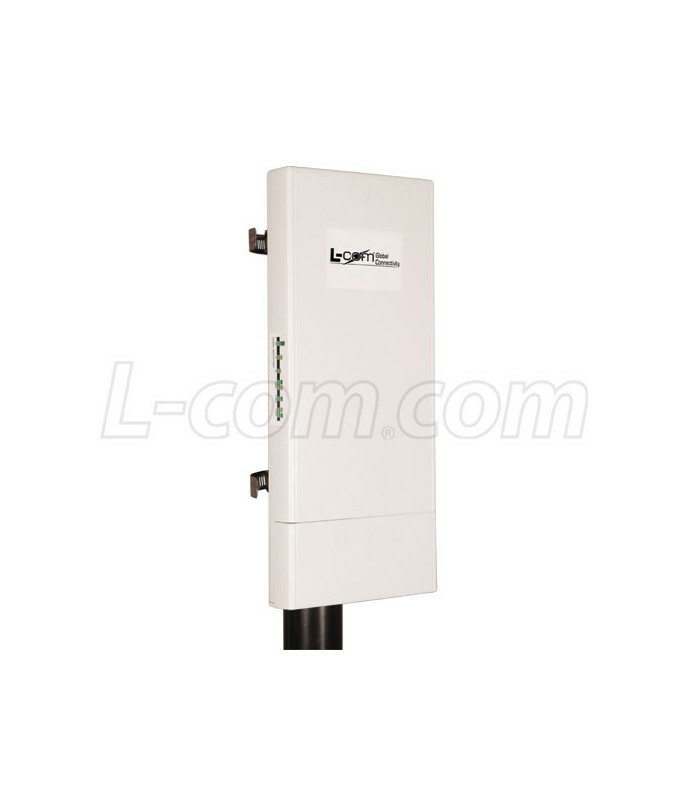 The WLAN-LCCPE516-1 was developed for the unlicensed 5.8 GHz ISM band. The WLAN-LCCPE516-1 is an all-in-one cost-effective, weatherproof wireless device featuring high output power as well as all essential features for both operating as an Access Point or a CPE Client. This dual approach offers greater flexibility and reduced inventory stock as this unit can perform all that is required for establishing reliable wireless networks. 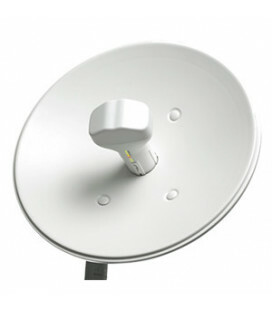 The WLAN-LCCPE516-1 is unique in that it includes a dual-polarity 16 dBi directional antenna for any point-to-point connection and when more power or coverage is required you can bypass the integrated antenna and connect a higher gain antenna to its (2) RP-SMA Jack connectors. The WLAN-LCCPE516-1 is weatherproof and will meet a minium of an IP55 rating to ensure that the high performance electronics remain protected form dust and water and thus providing years of trouble-free service. 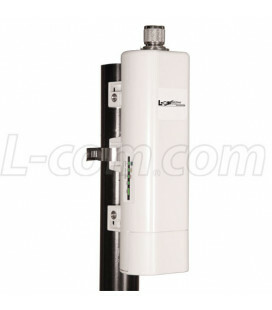 Whitout sacrificing water tighness, it provides easy acces to the PoE connection as well as hardware reset button without the need for special tools or equipment. The LED status bar on the side of the unit aids in configuration, for added convenience. Security has always been a concern for wireless networks. Knowing this, the WLAN-LCCPE516-1 was developed with all the latest enhancements in wireless security but also with backwards compatibility to fit into pre-existing networks. The WLAN-LCCPE516-1 features WPA, WPA2, WPA-PSK, 802.1x as well as other security to bes meet your specific needs. Not only does the CPE support impressive throughput but you can rest assured that your high speed data is secure as well. The WLAN-LCCPE516-1 product line was developed with scalability in mind since there is no such thing as a "one size fits all" product when it comes to outdoor wireless networking. 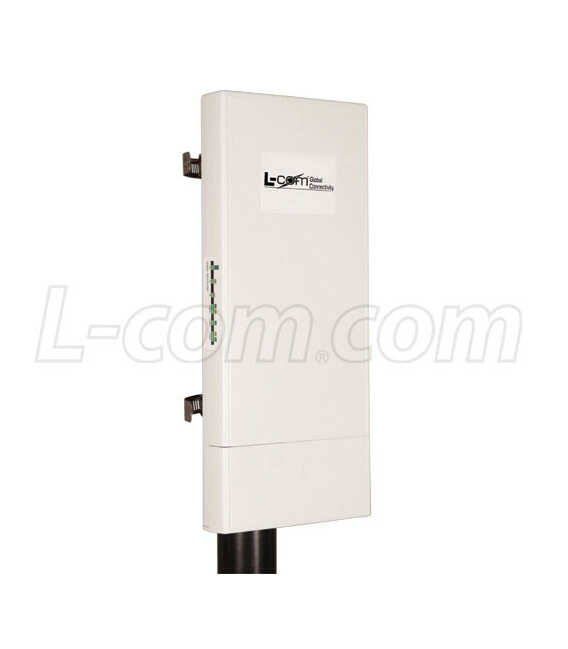 In order to keep the client costs down the WLAN-LCCPE516-1 has an embedded antenna but also provides convenience and flexibility of two external antenna connectors should the circumstances require a higher gain or more specific antenna type than the one provided. 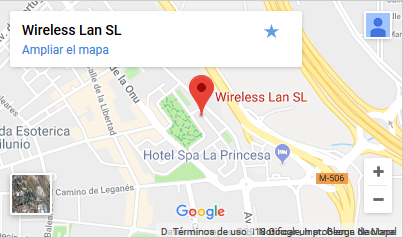 WLAN-LCCPE516-1 has been developed around the 802.11a/n standard so that you can achieve maxium throughput without losing interoparability with other IEEE 802.11a/n products. 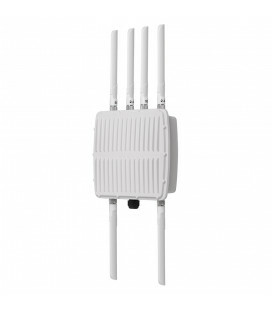 Access Point (AP) Mode: Allows wireless equipment such as a Smart Phones or Laptops to be connected to a wired network. In this mode the CPE unit is typically is connected to a router on a wired network. 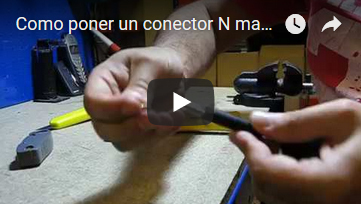 Network / internet connectivity to wired devices via its Ethernet port. This mode is ideal if you need to provide connectivity to devices without wireless functionality. Bridge Mode: Wireless bridges are typically used to connect two or more network segments that are physically separated. Bridging mode is achieved by using Wirelss Distribution System (WDS) settings in the CPE unit. This allows only the selected CPEs to communicate with each other and denies access to other wireless devices trying to access them. Bridges can be used in Point-to-Point or Point-to-Multipoint application connecting is connecting multiple building on a college campus. 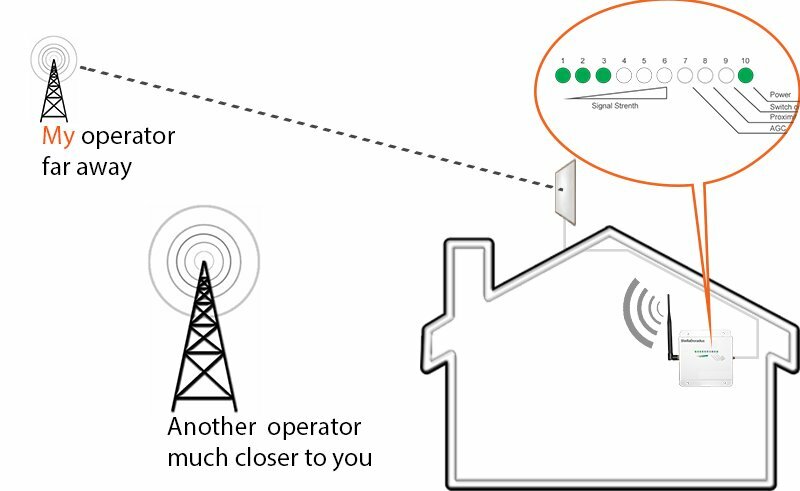 Repeater Mode: This mode is used to extend the range of an existing AP. This mode is also ideal when an obstruction is preventing wireless connectivity within a select area. Repeaters are commonly used when providing wireless connectivity to multi-story buildings and large homes. WLAN (AP Mode) All Off= WLAN Disabled. Green Blinking= good connection, Yellow blinking = Acceptable quality. Red Blinking= poor Connection quality. Firmware Upgrade Method: Web upgrade via Ethernet or Wireless port / TFTP upgrade via Ethernet port. Time covered: 1 year from time of purchase.